"We've developed what we call 'the giant comet' cosmochemical model of Pluto formation," said Dr. Christopher Glein of SwRI's Space Science and Engineering Division. The research is described in a paper published online today in Icarus. 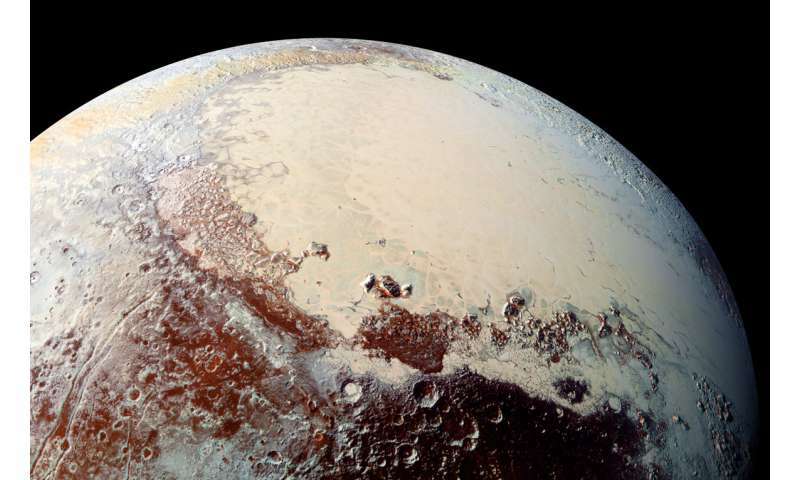 At the heart of the research is the nitrogen-rich ice in Sputnik Planitia, a large glacier that forms the left lobe of the bright Tombaugh Regio feature on Pluto's surface. "We found an intriguing consistency between the estimated amount of nitrogen inside the glacier and the amount that would be expected if Pluto was formed by the agglomeration of roughly a billion comets or other Kuiper Belt objects similar in chemical composition to 67P, the comet explored by Rosetta." Scientists needed to understand not only the nitrogen present at Pluto now—in its atmosphere and in glaciers—but also how much of the volatile element potentially could have leaked out of the atmosphere and into space over the eons. They then needed to reconcile the proportion of carbon monoxide to nitrogen to get a more complete picture. Ultimately, the low abundance of carbon monoxide at Pluto points to burial in surface ices or to destruction from liquid water. 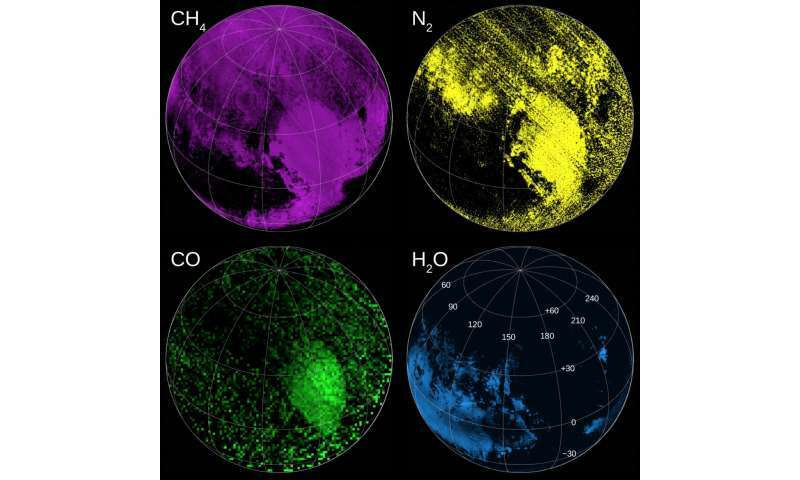 The paper, "Primordial N2 provides a cosmochemical explanation for the existence of Sputnik Planitia, Pluto," is coauthored by Glein and Dr. J. Hunter Waite Jr., an SwRI program director. If the Pluto gets another demotion it will make a lot of peoples around here mad. "about how Pluto may have formed at the edge of our solar system." It is erroneous to think that pluto is or is close to the edge of our solar system. The technical edge of the solar system is "that which the sun cannot bring into orbit". AU is the distance between the sun and earth. Pluto is 40 AU. According to simulations, at its furthest point Planet 9 is 1200 AU while still being in a simulated orbit. Do you see how ridiculous calling pluto the edge of the solar system is? Also pluto is not even a planet. Therefore, the grammatically and astronomically correct sentence would be ""about how Pluto formed away from prime planetary formation. Unless someone discovers planet 9, Neptune is the last planet or orbital body that demonstrates gravitational dominance. Mercury cheats by being close to the sun and having a small orbit. Mike Brown receives no credit for finding our identically sized 10th planet ERIS! By killing the definition of a planet he has prevented himself receiving due credit for finding our 10th planet EROS. This is like rewriting Kepler's planetary orbital laws every time EROS and PLUTO go flying past, correction "Lump of ICE" because once you have a definition you have to stick with it! They don't even qualify for dwarf status, one day there will be serious comments on an article concerning orbiting lumps of ice and it will be concerning PLUTO. We are already discussing it!